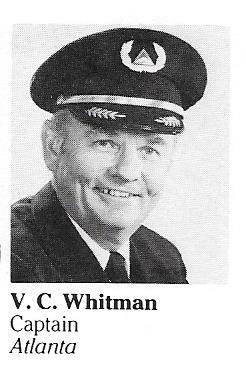 Word has reached our group with the passing of Delta Golden Wings member retired C&S/Delta pilot Captain Vernon C Whitman, age 93. Captain Whitman first joined Chicago & Southern 04-19-1951 (adjusted date? 05-15-1951) and retired with Delta Air Lines in 1984, based Atlanta. He is survived by his wife Dorothy, their children and granddaughters, and one great granddaughter. Vernon Whitman passed away on January 21, 2018. Funeral Home Services for Vernon are being provided by Sandy Springs Chapel of Sandy Springs, GA.
.............................. just got word that retired C&S/Delta Captain Vernon C. Whitman, 93, passed away at home in Atlanta on Jan. 21. He is survived by his wife, Dorothy, his daughter, Patty, two sons, Terry and Gerry, two granddaughters, Lauren and Jackie, and one great granddaughter, Clare. 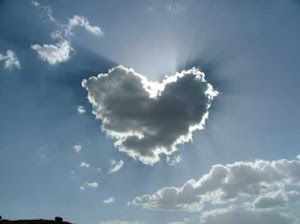 Anyone wishing to send a note or card may do so to Dorothy at 6455 Tanacrest Court, Atlanta, GA 30328-2856.